The number of customers using smartphones to make purchases soared by 254% from March 2011, according to IMRG. The number of customers using smartphones to make purchases has soared by 254% since March 2011, according to research for the IMRG Capgemini e-Retail Sales index. Mobile retail has so far averaged 300% year-on-year growth for the first quarter of 2012. However, the conversion rates for shoppers that visit a retailer’s site via a mobile device and actually buy something remain low at 0.7%. Total online spend in March was £5.8bn, up 14% compared to last year, found the research. Chris Webster, head of retail and technology at Capgemini, said the findings should encourage more retailers to develop their mobile commerce strategies. “The growth rate is important, but so too is the conversion rate; mobile customer experience must be improved to harness its potential,” he said. 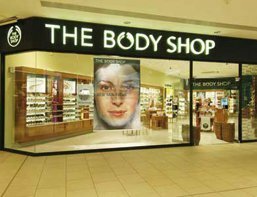 Adam Plummer, head of e-commerce at The Body Shop, said one in five visits to the store’s website are from mobile devices. “Mobile really is a game-changer. The shift to becoming the primary device of choice is well under way," he said. The news follows reports that the internet contributes 8.3% to the UK economy, the biggest share of all G20 countries.